We are independent surveyors who can provide help and advice with regard to building surveys, structural surveys, independent valuations, property surveys, structural reports, engineers reports, specific defects report or any other property matters. As you can see from this property article, we use lots of surveying sketches and photos in our survey reports as the feedback we have from our clients is that the survey sketches and photos help them understand the reports. As experienced independent Surveyors we always advise you have an independent building survey as this will highlight any property problems. Caveat emptor means buyer beware and is why you need to have a building survey to find out if there are any problems within the property; the estate agent certainly will not advise you of any. Let us explain what the circles and ovals mean in our building surveys? Incorporated in our building surveys and structural surveys the circles and ovals are an arrangement that we use to highlight property issue areas so that you are not left wondering what the property problem is. 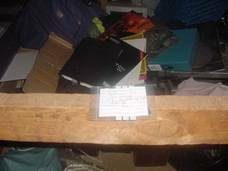 Additionally to this if the survey photographs do not we believe explain the property problem enough together with our survey report we also add in one of our own unique survey sketches. Our Executive Summaries make things simple and easy to understand Our Good, Bad & Ugly Surveys! We would also like to introduce to you what we term our Good, Bad and Ugly structural survey which is a building survey, sometimes known as a structural survey, and is something that we have developed over scores of years, in fact several decades. We have listened to response from our clients and amended and altered our building surveys to make them easy to read and explain issues clearly. The key factor we believe is that our surveys are uncomplicated and written in plain English. 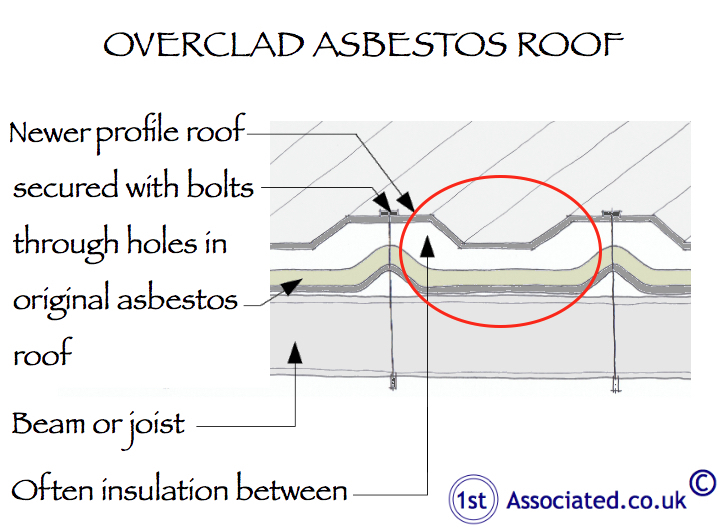 Asbestos – what are the risks? We need to start by saying that we are not asbestos surveyors, this surveying article has been written by a Building Surveyor who deals with structural surveys on all types of properties therefore we do come across asbestos from time to time whilst carrying out surveys. 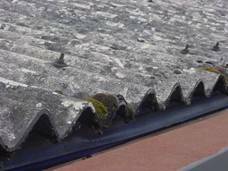 Whilst our basic advice is to have an asbestos survey carried out, we thought it was worth putting together some background information on asbestos. 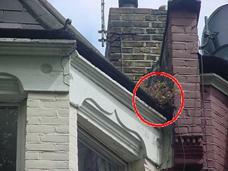 We were at a house survey where an asbestos survey was being carried out and also being audited which was of interest. We thought we would pass on some of this information. 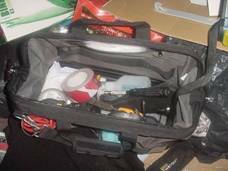 We would reiterate that we are not asbestos surveyors, if there are any asbestos surveyors out there reading this and we have got anything wrong, please by all means contact us and we will amend it. 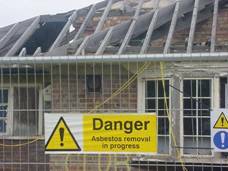 If your house was built prior to 1999 when asbestos was legally banned in the UK then it could have asbestos in it. 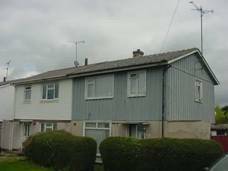 We were advised by the asbestos surveyor that the most commonly found problems were in the 1960's and 1970's properties but we have seen it in war year properties and post war year properties too. These tend to relate to houses that were built by Local Authorities, Housing Associations or some other similar type of organisation such as the Police Force or Army, etc, etc. However interestingly, today we were on a private estate of houses built in the 1970s. 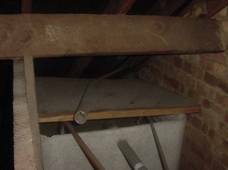 You will really be surprised where asbestos can be found and it was interesting chatting to the Asbestos Surveyor and the Asbestos Auditor so we thought we would explain some of the areas that they look at. First of all, let's say something about the A word. If you mention asbestos many people run a mile and we know from our experience that asbestos in a property can affect the valuation whether it is in good condition, bad condition or average condition. Everyone's concerns relate to health hazards that can be caused by asbestos, it can also affect house value. Let me repeat that sentence again, asbestos can also affect value. The A word really does affect the value of properties as many people simply won't consider buying a property where there is asbestos. What sort of asbestos survey should I have? 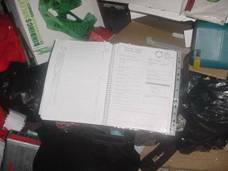 We were advised by the asbestos surveyor that there are now two types of asbestos surveys, a management asbestos survey which looks at how to manage an existing property and a demolition or refurbishment survey which looks at properties that are going to be developed, altered or amended or knocked down in one way or another. 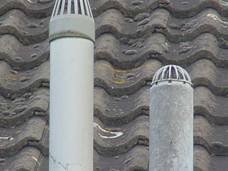 The older Type 1 asbestos survey that used to be so common was stopped in 2010 and with the newer type surveys there is sampling carried out. Where do you find asbestos in a property? One area in a property where asbestos is found is within a ceiling. 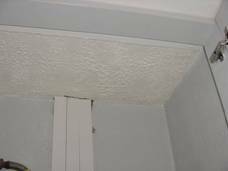 This can be from a proprietary boarding that forms the ceiling which is fairly common in the post war and 1960's/1970's buildings, not in every house, the era of painting a textured paint known commonly as artex on ceilings. This is why it is important to have a proper asbestos survey. 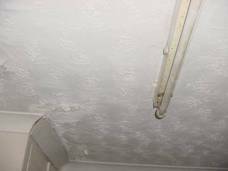 We are particularly interested in a recent case which relates to textured ceilings, often known by their trade name of artexed ceilings which are common in many properties today. We believe people don't give them enough thought; they are particularly important when they have an asbestos content. Asbestos water tank within the roof – the asbestos surveyor used a spray to spray the water tank before chipping a small sample away, literally with a hammer and chisel and then putting it in a plastic bag as a sample for later testing. 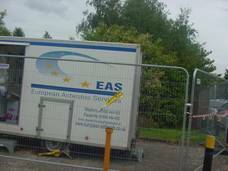 The company was UCAS approved and had its own lab to test for asbestos. If you have property outside Great Britain then different rules apply and some say different standards apply as well. 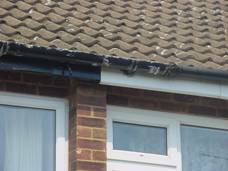 We would give an example with the asbestos survey of artex which is treated as a hazardous material in Europe but not in Britain . This is the older style artex which has a stippled look and then the smoother lines of modern 1970's artex. We advise that whenever we see this type of artex we always say to seal it using a plaster or similar but not to rub it down. Where would you find asbestos in a typical 1960's/1970s property? 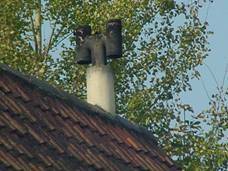 asbestos flue or not from ground level? 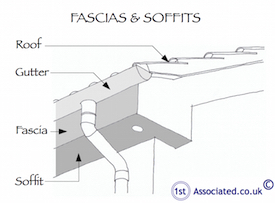 Fascias and soffits are common areas where you could find asbestos in a property. 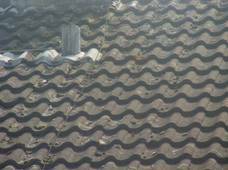 Often asbestos roof tiles are black and quite brittle and therefore can be hazardous. The asbestos surveyor took samples of the bitumen felt as this can sometimes have an asbestos content. 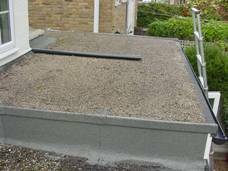 Felt roof – does this have asbestos? In the roof space in such places as the water tank. To cover doors to make them half hour fire resistant or to cover electric areas to make them fire resistant. It can also be used above doors where there is often a vision panel to finish the door detailing. The common area people know about is thermal plastic tiles. We were advised interestingly it could also be in the bitumen that seals them in place. 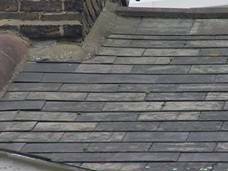 As mentioned we have come across asbestos in roofing felts and in the bitumen that bonds the thermal plastic tiles to the concrete and also we were advised they were in some damp proof courses (how you get rid of this type of asbestos would be interesting). 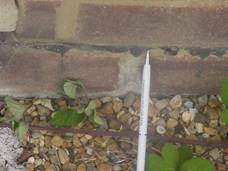 Damp Proof Courses, what are these for? We like to include throughout our survey reports to make them as clear as possible many photographs and surveying sketches. Whilst the accent will always be on encapsulating the Good, Bad and Ugly within our Executive Summary section words are enhanced with photographs from a very powerful optical zoom camera. We also have our own unique set of survey sketches to make the property problem crystal clear. We literally have commissioned hundreds of our own survey sketches developed over many years depicting property issues. We have our own property database known as XHouse which helps us identify the typical problems that are present in every era of property. The property database is designed around the age, type and style of the property and we have literally been building this database for over a decade. Again this property database is unique to our Building Surveyors. In 1985 asbestos was banned in insulation board and it was banned altogether in 1999, however this doesn't necessarily mean you won't find any asbestos as if it is imported from other countries such as China it can still be in their products and also if a builder has a builders yard he could have bought the materials many years ago and only now be using them. It has to be said that less and less builders have their own builder's yards. For those of you with commercial buildings, we would just add that the asbestos found in commercial buildings tends to be worse and more of it. Particular areas where it was used was the spray on foam to insulate and fire protect on structural frames of buildings, concrete and steel. 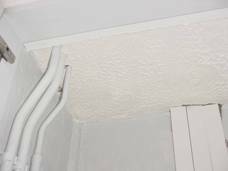 It was also found in casing pipework as insulation and boiler rooms and electric cupboard areas as well as pretty much the areas we have mentioned already such as flues, roof tiles, gutters, fascias and soffit boards, water tanks and blocking in of services, etc, etc. 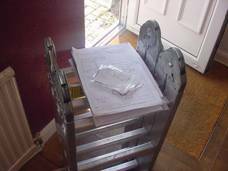 We would be happy to email you some examples of our tailor made reports, Schedules of Condition, Structural Surveys and Property Reports. 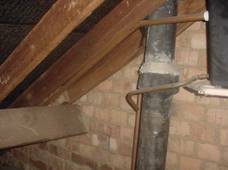 We can send you examples of Structural Surveys on, we believe, every type of property and era. Property eras are most typically Tudor and Elizabethan, Georgian and Regency, Victorian and Edwardian, War Years, Post War Years, Modern and New. We have example surveys of every type of commercial property including shops, offices, industrial buildings, leisure buildings such as pubs, sports centres, places of worship and institutional buildings. Please call us for a friendly chat on free phone 0800 298 5424. If you have a commercial property, whether it is freehold or leasehold then sooner or later you may get involved with dilapidation claims. 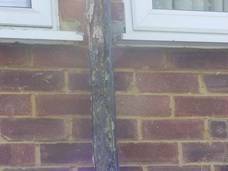 You may wish to look at our Dilapidations Website at www.DilapsHelp.com and for Disputes go to our Disputes Help site www.DisputesHelp.com. We hope you found the article on asbestos of use and if you have any experiences that you feel should be added to this article that would benefit others, or you feel that some of the information that we have put is wrong then please do not hesitate to contact us (we are only human).